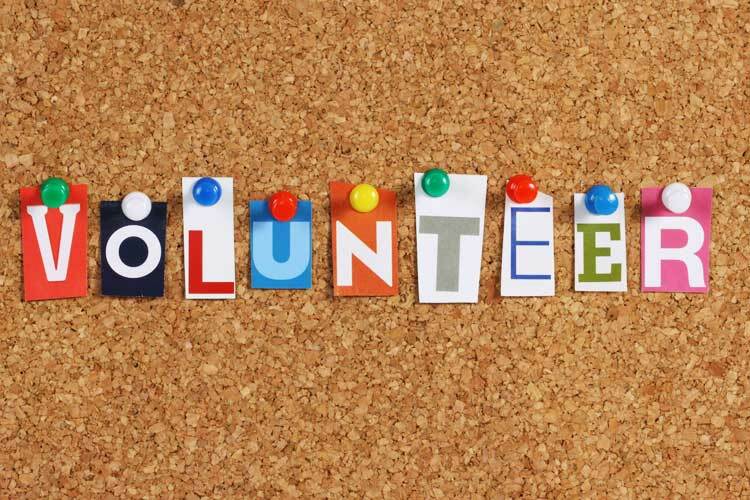 4 Quick Tips to Getting a Flood of Volunteers for Your Carnival! Planning a carnival is like planning a massive party. There are tons of factors to consider: games, prizes, food, rides, cleanup, and even security. One person alone cannot possibly do all of this work. This is where much-needed volunteers come in. Even though people are busy, there are several ways to ensure you'll have enough volunteers at your next carnival. Trust us: we've been doing this for over 15 years! First of all, what is a room parent? According to PTOtoday.com, room parents assist teachers in communicating the needs of the classroom with other parents and school administration. Room parents opt-in and know all of the requirements before the school year begins. As the carnival event planner, you can ask all teachers in your school to add "carnival booth volunteer organization and assistance" as a requirement to being a room parent for the upcoming school year. The room parent already knows of the requirements, and usually will be happy to set a great example for being the first one in the class to sign up for a time slot as a volunteer for a few hours at your carnival. Many school clubs (honors, athletics, etc.) require their middle- and high- school students to get a certain number of volunteer hours. Elementary carnivals are an extremely fun way for these older students to get their volunteer hours! Email local middle- and high- schools and ask if you can speak with the presidents of various clubs about their club members volunteering at your carnival. Another option is to get permission to put flyers for your upcoming carnival at the schools, asking for student carnival volunteers. And of course, there's always social media: you can use this as a way to relay information to these school communities. Give Classrooms Ownership Of Game Booths! 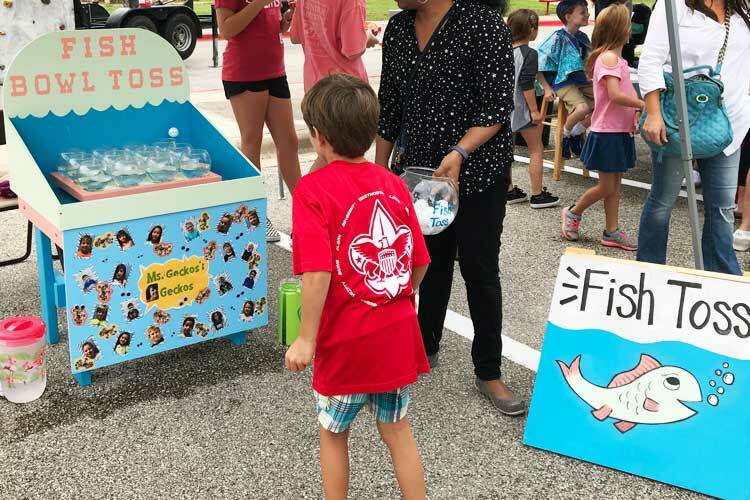 Note: Some schools allow classes to choose their own game or booth idea - but we have found there is more "back and forth" with this setup as two or more classes may choose the same game (like the bean-bag toss) and then need to look again for another idea. Allow teachers & classrooms to adopt their booth and have "ownership" over this one small part of your carnival! 1. Provide a sign-up list for classroom parents and guardians to volunteer for setup, run, and clean up adopted booth. In addition, turning in a counted ticket box at the end of the carnival is a nice bonus for the carnival committee. 2. Work with the carnival game chairman to verify all supplies for the game/activity are in good working condition and where to get them on the day of your event. Don't forget the ticket box and game sign too! 3. Add decorations for your carnival theme and personalize the booth (with the help from the students) if possible. It is fun to match the theme of the carnival for that year or to have each child take part is some simple artwork for the booth. We have seen painted paper fish added to decorate the Fishing Booth or pictures of each child on a posterboard to decorate a game booth. 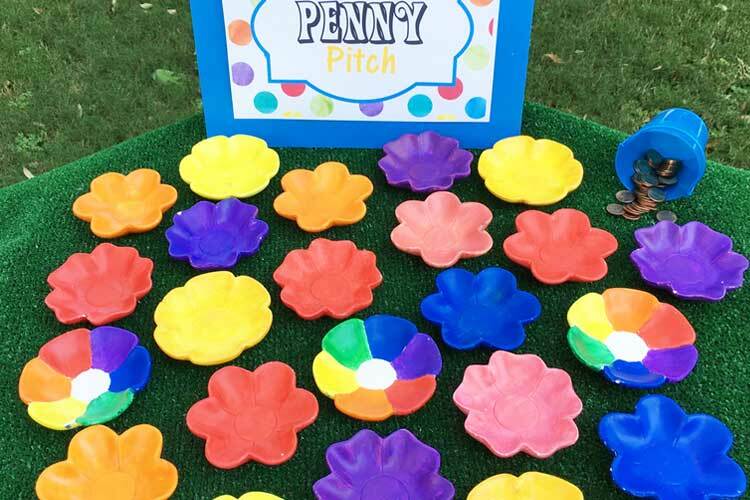 (See image below) A classroom could prearrange with the teacher to have the each child paint a ceramic flower for the Penny Pitch Carnival Game. Volunteer ownership means that these classrooms have the responsibility of delegating certain parents to volunteer for "their" booths. We've found that the kids love, and are proud of, having responsibility for their classroom's carnival booth. These parent (or older sibling) volunteers will simply be needed for setting up, cleaning up, working the carnival booths, and occasionally the bounce houses. However, this is important: volunteers should NOT purchase any items for the booth. We'll go over this more in Step #5. 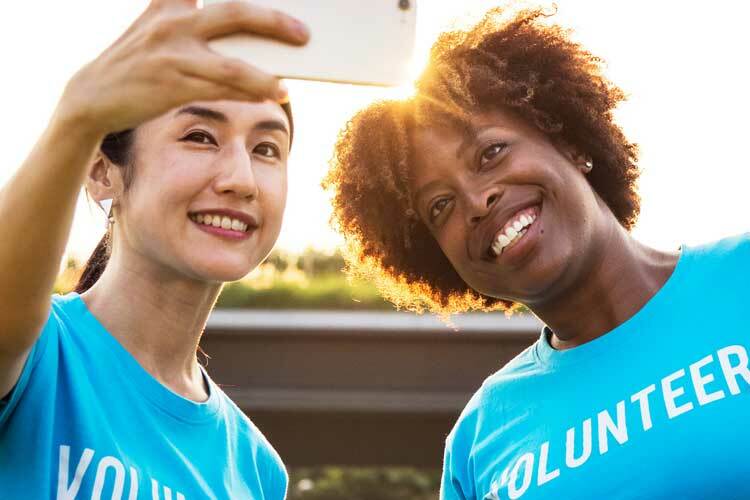 We've already mentioned middle- and high- school student clubs needing volunteers, but don't forget about other youth organizations in your community. 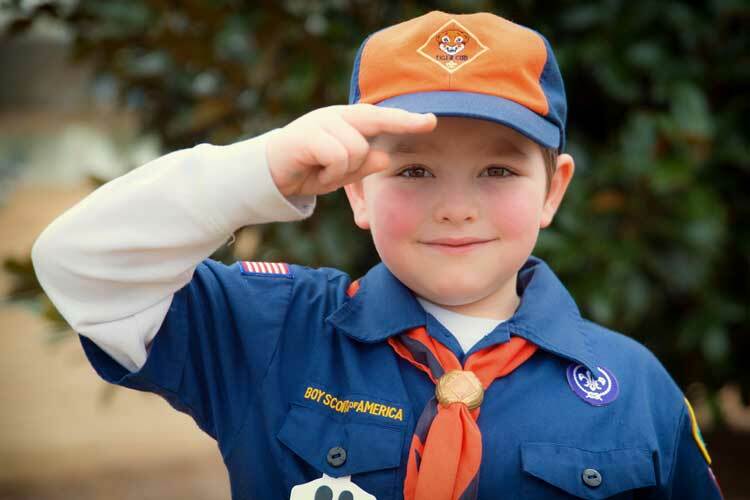 The Boy Scouts and Girl Scouts are excellent organizations to ask for volunteer hours from because they can get badges for learning & volunteering! Any youth sports teams - including school sports teams - will have awesome kiddos that will be thrilled to volunteer at your carnival. 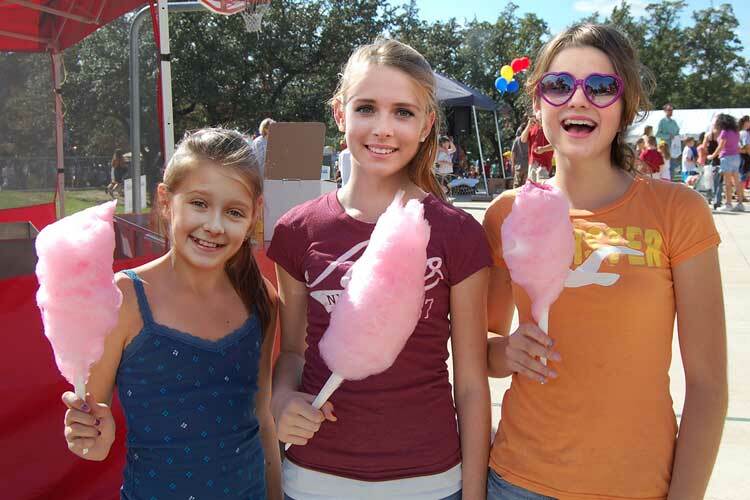 These youth sports stars love assisting the younger kids playing sports-themed carnival games. Click HERE for an adorable example of how a youth football team was an excellent match for a football-themed carnival game. (A.) Dozens of receipts from several volunteers are a nightmare for your treasurer. (B.) Some volunteers may be uncomfortable fronting money for your organization. (C.) Having several purchasers wastes time & money because of accidentally ordering duplicates, miscommunication, not being able to purchase bulk items at discount prices, and the gas money needed for driving around town. However, a single dedicator purchaser will order all of the carnival supplies in bulk to save time, money, and volunteers' time too! 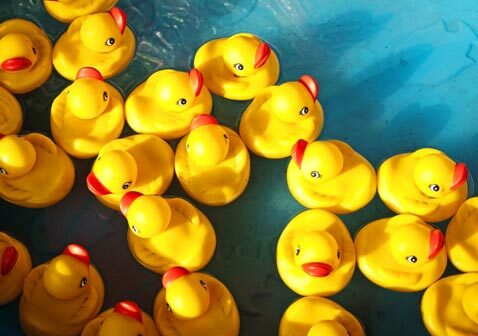 For more details about having one purchaser - check out our blog post on carnival planning "Does Your Planning Team Have..."
Thank you for reading the Carnival Savers blog! For more hints and tips check out the posts below. Image courtesy: Photograph by RawPixel on Unsplash.